On this page, you'll find small to medium sized dogs that are approved for adoption. 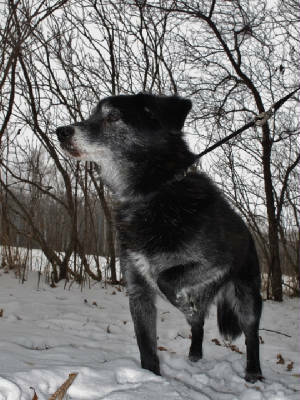 Shep is a 14 year old terrier x. Shep was adopted out to a home many years ago but due to no fault of his own, he was recently returned to SAFE HAVEN. Much as he is happy to be safe, he would really love to find a permanent home for his twilight years. He has recently been vet checked, vaccinated, and heartworm tested. Other than a bit of arthritis he is doing very well for his age. If anyone would be willing to let Shep sleep on their bed, he would be forever grateful. He is about 8 kg., loves all people including young children but would rather go to a home with no cats.